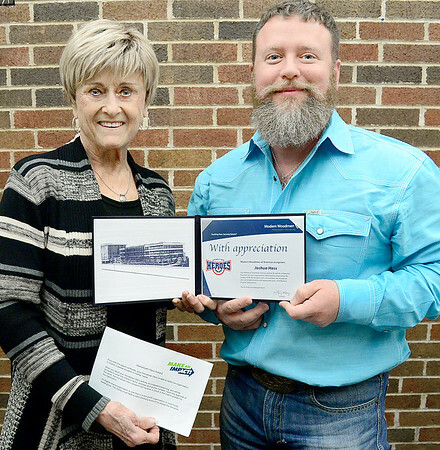 Pictured from left, Betty Balkman, Modern Woodmen presents Josh Hass with the Modern Woodmen's Hometown Heroes Award. Hass is being recognized for his efforts and countless hours of service to the community by Modern Woodmen of America members. A $100 grant will be given to Shared Blessings, the charitable organization of his choice.